$10 Haircut With Original Printed Coupon Only. Coupon valid only at 3630 Peachtree Pkwy and 3000 Old Alabama Rd locations only. No cash value. Please present coupon prior to payment of service. Original Printed Coupon Only. Valid In-Store. One coupon per customer. Coupons may not be combined with any other offer. Not valid with any other offer. With Valpak® coupon only. Must present coupon at time of order. Must present coupon at time of purchase. Coupon valid at this location only. Coupon void if altered. Expires 05/05/2019. $9 Haircut With Original Printed Coupon Only. Coupon valid only at 3630 Peachtree Pkwy and 3000 Old Alabama Rd locations. No cash value. Please present coupon prior to payment of service. Original Printed Coupon Only. Valid In-Store. Good at participating locations. One coupon per customer. Coupons may not be combined with any other offer. Not valid with any other coupon. Not valid with any other offer. With Valpak® coupon only. Must present coupon at time of order. Must present coupon at time of purchase. Coupon valid at this location only. Coupon void if altered. Expires 05/05/2019. Want a better selfie? Try a new trending haircut at Supercuts in Suwanee, GA. Supercuts is known for professional haircuts, hairstyles and a wide range of hair care services. We offer men’s, women’s and kids’ haircuts, hairstyles, hair color services and facial waxing. 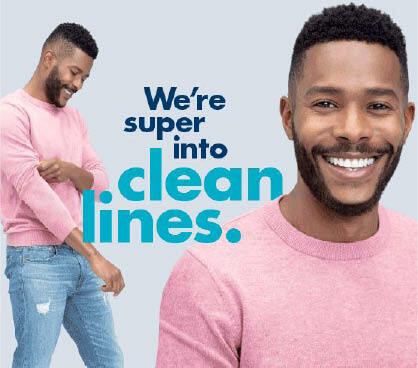 Our qualified Supercuts staff is experienced with all types of hair and can give you advice on the latest hair care products so you can wash, condition and style your own hair after you leave. And, did we mention no appointments are necessary? Walk-ins are welcome. 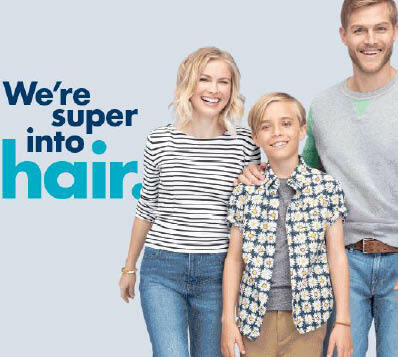 Redeem our haircut coupons and save at Supercuts. C’mon, send your new selfie and be the trendsetter that gets loads of likes and follows. Men's, Women's & Kids' Haircuts, Hairstyling For All Hair Types - Curling, Flat Iron & Blow Dry , Hair Color - Highlights, Tip Coloring, Gray Blending and Glazing, Tea Tree Shampoo & Conditioning, Facial Waxing - Brow, Lip or Chin, Hot Towel Refresher, Beard Trimming. Supercuts is located in Suwanee, GA near to the surrounding communities of Arbor Trace, Woodhaven Downs, Buford, Johns Creek, Duluth and other Georgia cities nearby.